At the end of 2017, LD Products launched its new Channel Partner Division and its new Gold line of new-build OEM-alternative toner cartridges, which it claims are much higher in quality than both typical new-builds and remanufactured cartridges, in an attempt to woo business from dealers, resellers, and managed print services (MPS) providers (see “LD Products to Court Dealers and Resellers with New-Build Cartridges”). The line uses the same quality components used in remanufactured cartridges, but because the LD Gold products use a brand-new shell rather than an OEM empty “that need[s] to be cracked in half during production,” LD says end users see less leaking and fewer performance issues than with remanufactured cartridges. According to the LD Products press release, the Gold line now includes 200 SKUs including monochrome and color toner cartridges employed in top printer models from Brother, Dell, HP, Lexmark, Samsung, and Xerox that make up 80 percent of most managed print fleets. 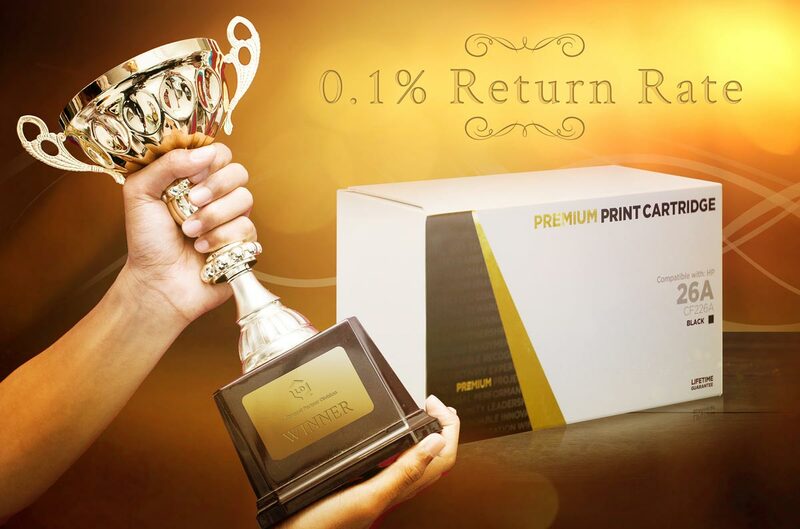 Interestingly, LD Products also highlighted the 0.1 percent return rate earlier this year when it announced its Gold Partner Program for dealers and resellers (see “LD Products Launches Gold Partner Program with Incentives for Toner Resellers”). Now, it seems that with a few more months of shipments under its belt, the company wants to make more noise about the statistic. While LD Products did not draw the obvious parallel in its press release, essentially the firm is saying that if Clover’s success rate is 99.6 percent, its defect rate is 0.4 percent, and its return rate is presumably higher than that—and thus higher than what LD is seeing with its new Gold line. In the LD Products press release, Mr. Pepper stated, “Typical return rates for leading remanufactured cartridges tend to run in the 1-2% range so we’re proving that the performance and profitability of our GOLD Line is second to none.” He added, “Many dealers have reported poor remanufactured color quality as of late, as remanufacturers try to cut costs and they inevitably sacrifice quality.”As for rival new-build cartridges, return rates on those can run about 4 to 6 percent, according to Mr. Pepper. The fact that LD Products has had no color returns from the Gold line, of course, means that it must have seen some monochrome toner cartridge returns given that its return rate was not zero. Mr. Pepper confirmed that this is the case, although he declined to say exactly how many monochrome cartridges were returned. He did say, however, that LD Products autopsies every cartridge returned to analyze what went wrong. We are curious to see if CIG responds to the claim that LD’s new-build cartridges have what is essentially a higher success rate than CIG’s remanufactured cartridges. CIG has been busy on the marketing front lately, with a lot of that marketing taking aim at new-build toner cartridges, especially patent-infringing clone cartridges. CIG was quick to promote that it was not named in Canon’s U.S. toner cartridge litigation (see “Clover Quick to React to Canon’s Toner Cartridge Lawsuits”). It has released an article discussing why it believes that the only non-infringing non-OEM alternatives for the particular cartridge models that are the subject of the Canon suit are remanufactured cartridges that reuse the original dongle gear (see “Clover Issues Warning Regarding Cartridges That Infringe Canon Dongle Gear Patents”). CIG also issued a white paper entitled “Risk and Reward in the World of Printing,” in which, much as the title suggests, Clover firmly placed new-builds in the “risky” category compared to its more “rewarding” remanufactured cartridges (see “Clover Issues Warning Regarding Cartridges That Infringe Canon Dongle Gear Patents”). One thing we should point out is this. CIG is the world’s biggest remanufacturer, while LD Products’ Gold line is brand new as of this year. CIG’s monthly cartridge sales undoubtedly dwarf sales of LD Products’ Gold cartridges. And bigger sample sizes are generally more accurate. It will be interesting to see if LD can retain its excellent return rate as volumes increase.